Thank you for your sponsorship! A conference committee member will contact you shortly to go over the details of your sponsorship and what we need from you: digital logo, banner ad, etc. With our lineup of experts and sponsors like you we know this will be a great event! Please feel free to contact us if you have any questions. Become a Sponsor of THE Leadership Conference of 2011! 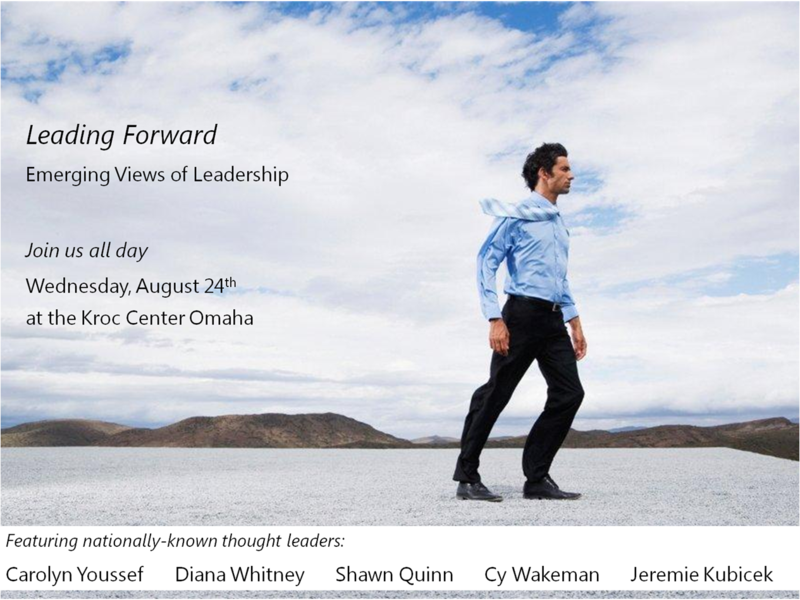 The Omaha Organization Development Network is excited to announce that we have assembled five outstanding experts in emerging views of leadership development for a one-day conference at the Salvation Army Kroc Center on August 24th, 2011! This is a rare and affordable opportunity to hear from authors, researchers and practitioners under one roof. We anticipate 500 attendees from the greater Omaha metro area. The day has been built to interest and inform business executives, entrepreneurs, managers, communicators, OD practitioners, HR professionals, trainers, coaches, and leaders from all industries. We wish to formally invite your organization to become a sponsor of this event. There are three levels of sponsorship available, which are explained in the accompanying brochure. The $1,500 Platinum-level sponsorship provides 3 premium seats and high profile exposure in marketing and promotional materials. To secure your sponsorship, please enroll as a sponsor on our web site by May 20th. There you will find additional information about the event and an easy-to-use form and online payment process.